We are talking with Kiet Duong, President of IO Zoom, LLC - a leading high performance web hosting service provider. HOSTSEARCH: Thank you for giving us an opportunity to talk with you today. Can you please introduce yourself and your company? KIET DUONG: My name is Kiet Duong and I am the President of IO Zoom, LLC. IO Zoom is a VPS hosting company based in Houston, Texas and is accredited by the BBB. HOSTSEARCH: Could you give us an overview of IO Zoom’s products? KIET DUONG: Virtual private servers is all we do and we utilize KVM virtualization on our servers. 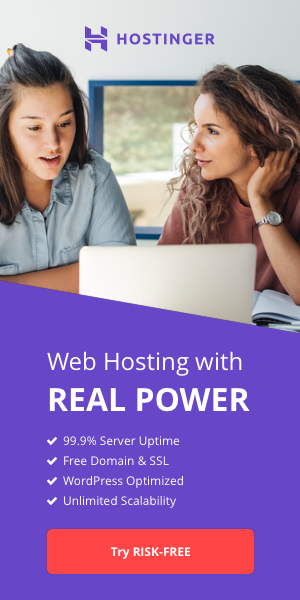 We offer a 100% network uptime guarantee, free backups, free ddos protection, free management if you addon cpanel, and is 100% white labeled which is great for those customers who wish to resell our VPS offerings under their own brand. What makes us attractive to prospective customers is the level of service and hardware. We run Raid 10 on our servers with all SSD’s and we monitor our network 24/7 from dedicated monitoring station outside of our network which allows us to receive and resolve issues very quickly. Our support response time averages about 15 minutes and our plans start at $8/mo making us one of the most affordable VPS providers in the industry. HOSTSEARCH: What is the main reason your company choosing to focus on VPS hosting? KIET DUONG: Customers having the ability to have their own virtual dedicated server at such a low price is a very attractive hosting solution. Getting your own dedicated resources that isn’t shared and most of the time does not affect your own website, the ability to configure the server to your specs are great features to have. As websites grow VPS hosting is a very affordable option to full dedicated servers. HOSTSEARCH: IO Zoom uses KVM Virtualization technology. What are the advantages of this? KIET DUONG: KVM is a hardware level virtualization technology and operates as it’s own server allowing you to run your own linux kernel. KVM is fully isolated with independent resources which increases server stability and performance. HOSTSEARCH: I noticed you mentions about “300% Faster SSD VPS Hosting”. Can you tell us more about it? KIET DUONG: Certainly, our servers were built for performance and by running 100% pure SSD’s (solid state drives) in a Raid 10 configuration, it gives our servers a tremendous boost in speed. HOSTSEARCH: How does your DDOS protection service differ from other companies in the market? KIET DUONG: DDoS attacks can be launched by anyone in the world for any reason or no reason at all for as little as $10. We include up to 20 Gbps of ddos protection with all of our plans which protects from over 95% of the most common attacks. HOSTSEARCH: Can you tell us more about “SolusVM Control Panel” at IO Zoom? KIET DUONG: SolusVM is the VPS control panel which allows you to easily manage your virtual server. You can stop, start, reboot, check usage stats, change root password, change hostname, and more. HOSTSEARCH: What promotion do you currently have available for HostSearch users? KIET DUONG: Use coupon code “hostsearch” and you will get 50% off your first month of service. 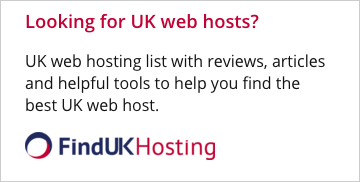 HOSTSEARCH: In your opinion, what makes a good VPS host? It would be great if you can tell us some key points when it comes to choosing the right VPS hosting. KIET DUONG: Great VPS hosting starts with a great network followed by great hardware and then great support. We’ve done our due diligence in selecting a few great datacenters for you to choose from and our servers were built with the latest hardware including Intel xeon processors, DDR4 ram, all SSD’s, and LSI raid 10. Our support team is available 24/7 with response times usually under 15 minutes. KIET DUONG: I would like to thank you for conducting this interview. I would also like to let potential customers know that you will not be disappointed with our service. Give us consideration when searching for your next VPS provider. Don’t compare only the features and resources but compare the network speed, hardware specs, and send us a support email and test out our response time.